general » Can the US Dollar Continue To Defend Its Role As the Lead Currency? Can the US Dollar Continue To Defend Its Role As the Lead Currency? Globalization is characterized by a large number of cross-border economic transactions. It is helpful for the global economy if there is a lead currency that is accepted by all economic players as an international means of payment. The US dollar currently performs this function. But will it stay that way? What is a lead currency? The central feature of a lead currency is that economic agents accept it as a means of payment even though it is not their domestic currency. This means, for example, that a German automobile company accepts payment in US dollars for its cars sold in Japan, even though it has to pay its employees, rents and taxes in euros. Nevertheless, the dollar revenues can be used, for example, to buy oil from OPEC countries. These countries have their own currencies, but they also accept the US dollar as a means of payment, because they can use the dollar proceeds for imported products from other countries. Since export revenues are not always immediately used to buy other products, the international reserve currency must also be used to store value – revenues can be saved. This results in the following working definition: A currency can be regarded as the leading currency of the world economy if it is used for financial transactions (medium of exchange), as a monetary measure of value and as a reserve currency (store of value) not only by domestic economic actors, but by many or almost all actors around the world. When does a currency become the reserve currency? #1: The currency must be fully tradable on the international foreign exchange markets. There must be no capital controls restricting the purchase or sale of the reserve currency. This includes the fact that trading foreign exchange is associated with low costs. This pre-supposes that the country has highly developed financial markets that can carry out financial transactions without high costs and reliably. #2: The currency must show a relatively stable value performance. This applies both to value stability in one’s own country (i.e. a low inflation rate) and to the value against other currencies (i.e. the low exchange rate fluctuations). #3: The country’s economic power– above all its GDP – must be relatively high on a global comparison. A large GDP requires a correspondingly large money supply. A comprehensive currency supply is a prerequisite for the country to be able to provide sufficient liquidity for the global economy. The size of the economy is also an important prerequisite for avoiding strong exchange rate fluctuations: The smaller the GDP and the money supply associated with it, the greater the exchange rate fluctuations when financially strong economic players demand or sell the currency in question on a large scale. These conditions are currently best met by the US Dollar. According to preliminary calculations by the International Monetary Fund (IMF), US GDP in 2018 amounted to around 20.5 trillion US dollars. This was equivalent to around 24 % of global GDP. This means that the USA remains the world’s largest economy, ahead of China (13.5 trillion US Dollars, 16 % of world GDP) and Japan (5.1 trillion US Dollars, 6.0 % of global GDP). Even the euro zone as a whole, with GDP of around 13.7 trillion US Dollars, has less economic power than the USA. 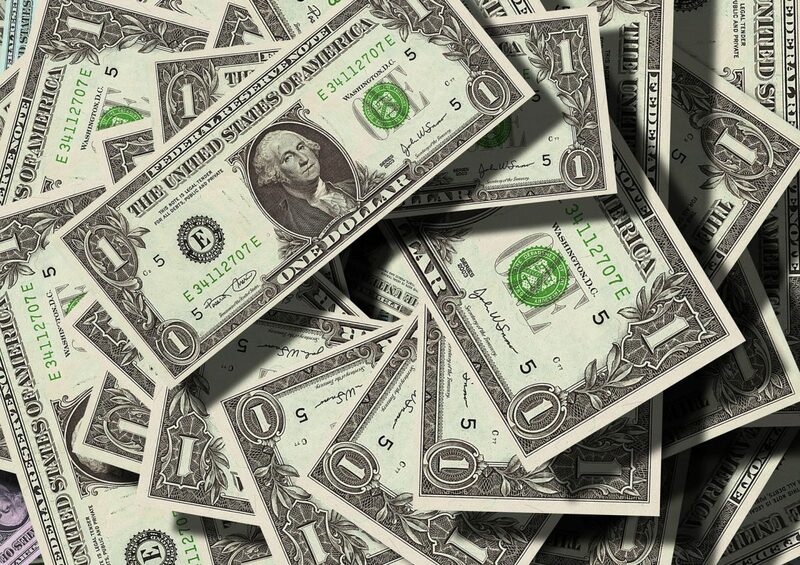 Other arguments in favour of the US Dollar as the leading currency are economic and political stability, the status of an open market economy, the convertibility of the US Dollar and the highly developed financial system. The fact that the US Dollar is the world economy’s leading currency is reflected, among other things, in its importance for global currency market transactions. Every three years, the Bank for International Settlements (BIS) publishes a calculation of the share of individual currencies in global foreign exchange transactions. The US Dollar accounted for 88% of these transactions in 2016, followed by the Euro (31%), the Japanese Yen (22%) and the British Pound (13%). It should be noted here that currencies are exchanged between countries on the foreign exchange market, so that two currencies are involved in each exchange. As a result, the shares of all currencies in global foreign exchange transactions add up to 200%. In 2016, the Chinese currency accounted for only 4% of all foreign exchange transactions worldwide. Until 2007, this share was 0%. The dominance of the US Dollar is also reflected in the official reserve holdings of the central banks. The IMF publishes a quarterly breakdown of the worldwide foreign exchange reserves of the central banks. In the third quarter of 2018, just under 62 % of all central bank reserves were US Dollars. At around 20.5 %, the euro was the second most important reserve currency in the world. The Chinese currency accounted for less than 2 % of global reserves. In view of this outstanding importance for financing global economic transactions, the US Dollar is the undisputed leading currency of the global economy. Can US Dollar continue to defend its role as the global reserve currency ? The decisive question as to whether the US Dollar can continue to defend its role as the global reserve currency in the future is global confidence in the economic size and stability of the US economy. Despite Donald Trump’s partly irrational policies, there is currently no serious doubt about this. In addition, there is currently no serious alternative in sight. Switzerland is considered a haven of economic and political stability. However, the economic power of the Swiss economy is far too weak to assume the status of the world’s leading currency. Although the GDP of the United Kingdom is larger than that of Switzerland, it is also too low by international standards at around 3.3% of global GDP. In addition, there is Brexit, which increases uncertainty about the country’s future economic development. This weakens confidence in the British pound. The world’s third-largest economy – Japan – does account for around a quarter of the American economy. But this, too, is not enough in relation to the world’s GDP. In addition, Japan is the country whose population will shrink the strongest in the coming decades and ageing at the same time. As a result, Japan’s economy is losing importance in a global comparison. At least for the time being, however, China cannot be considered as a leading currency country because the Chinese currency does not meet the criterion of unlimited convertibility. In addition, in view of the still rather strong state intervention in the economy and the lack of transparency about the actual amount of state and private debt, there are doubts about the long-term economic stability and thus also about the performance of the Chinese currency. The euro thus comes closest to the status of a (potential) lead currency: the level of GDP, market economic structures, the level of development of financial market institutions, convertibility – all these aspects are arguments in favour of the euro as the global lead currency. Consequently, with a share of 20.5 %, the euro is currently the second most important reserve currency in the world after the US Dollar. However, the confidence in the euro is being dampened by the flaring discussions about the possible withdrawal of individual euro zone member states and the still unsolved debt problems of the southern European member states – above all Greece, but currently also Italy.